Love Madewell? Love mixing patterns, textures and color? Love denim? Love styling? If the answer to any of the above is yes, I have great news for you. Thursday, August 16th, the new Madewell store at Beachwood is having a fab styling event. 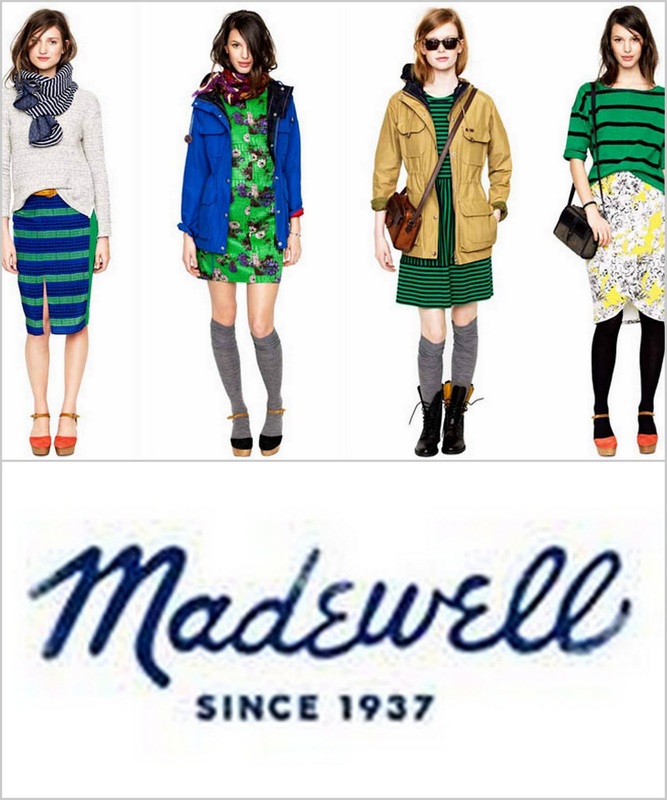 And.....Madewell has given me a $100 gift card for one lucky reader!!! 1. Leave a comment on this post saying what key item you will be using to update your wardrobe for fall. 3. Share this post on facebook. Please be sure to leave a comment on this post for each entry to be counted. Contest closes Sunday 8/19 at 6PM and winner will be randomly drawn and announced Monday 8/20. My key pieces for a fashionable summer to fall transition. I need some new fall sweaters to pair with skinny jeans! Shared on the Why CLE? FB page. i'm so in love with the silk peplum top! perfect for now or with a leather jacket for fall! I want some new jeans! I need either some new jeans or some new blazers for a Fall update to the closet. i don't need any, but i want some new jeans! I adore everything, but would love to add the silk dulcet blouse to my arsenal. Can't wait to wear the silk peplum top I bought! I need a new pair of jeans, and can always use a new comfy, cute sweater! Shared the link on Facebook! Colored skinny jeans and comfy sweaters = must haves for fall! Sweaters and button downs are going to be key for fall! Love madewell! I need a new pair of skinny cords to update my fall wardrobe! I desperately need some new blouses and shirts for the Fall. Tweet tweet! So so so excited about this giveaway! Focusing on color this Fall! Tangerine, aqua, coral and brown! Whether it is patterned or plain, I'm lookin to add a classic, loose fitted sweater and a washed jean! Yea for Fall fashion! I need some new sweaters. I've been thinking about blazers for years but have never pulled the trigger, maybe this is the fall I finally find the perfect one! I <3 madewell and i'm so excited they are in cle! (well, sort of in cle..would love it if they were really in cle, but you know). i'm eyeing several dresses, particularly the silk-pleated shirt dress! I'd get a trench coat. Sweaters. I really need new sweaters and the multistripe one at the top of the sweaters page is gorgeous! I purposely buy a pretty basic wardrobe (office work and all) but I love to update it with accessories ... I'm pretty sure I need the arrowstack and twig necklaces this fall. And I'll take one each of every scarf they offer! I love Madewell!! I would get a denim shirt and scarf!! I want the leopard flats and some new jeans! Actually I kind of need lots of new fall clothes. pleated skirt with riding boots. at least the combo looks good in my head. Tweeted on Tuesday. Shared on Facebook Wednesday. I need a lot of new clothes for the Fall - but definitely a new blazer or two! I can't wait to hear all about this event. I am dying to get a cherry red fitted blazer for fall! I'm on a hunt for some cute fall blazers! Friday tweet. And Mojamala made me want fall blazers now too. Belts. They are my current obsession and I would live some cool Madewell belts! I will be adding....something that fits! Over the last year I've lost quite a bit of weight and need items that are work-appropriate, mom-of-toddlers-appropriate, and social life-appropriate. Help!